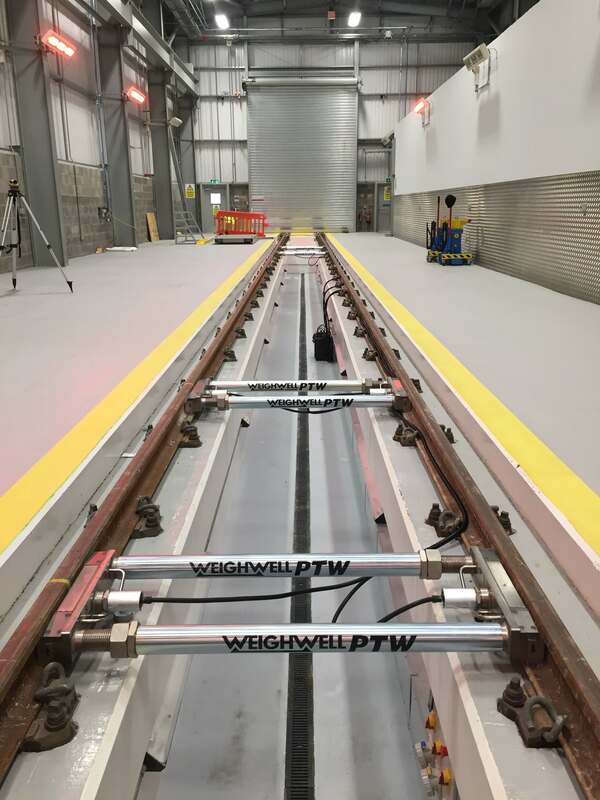 Many of our customers today request that the rail vehicle is weighed with a Portable Train Weigher (PTW) unit under each wheel, allowing them to see the live wheel weights of the whole railcar when making adjustments. 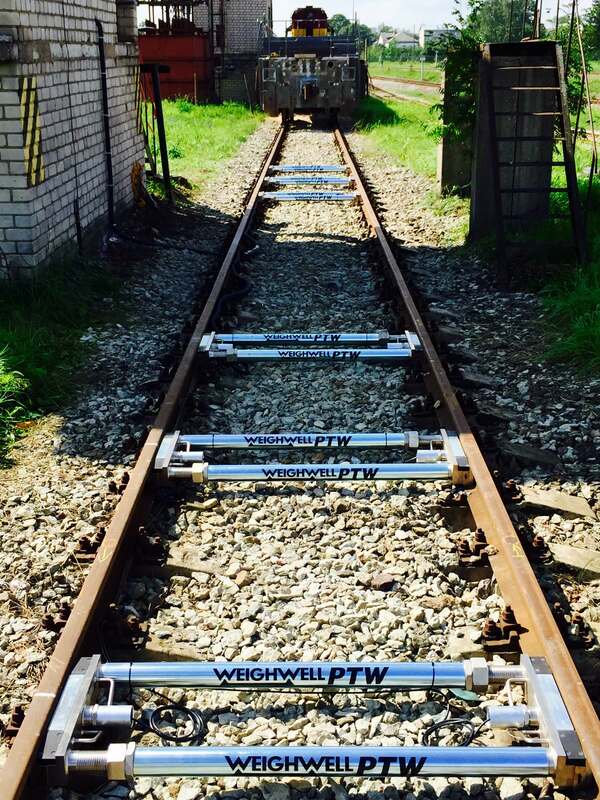 The added advantage of having a PTW unit under each wheel is that it minimises the internal forces of the rail vehicle, providing the most accurate weighments. This is beneficial for trains that undergo pre and post modification’s at locomotive workshops and train maintenance depots. Our Full Car Weighing Systems (also known as Full Train Weighing Systems) weigh each individual railcar or train car. This provides an accurate and advanced solution for wheel balancing which is perfectly suited to the Rapid Transit, Urban rail and High Speed rail markets. 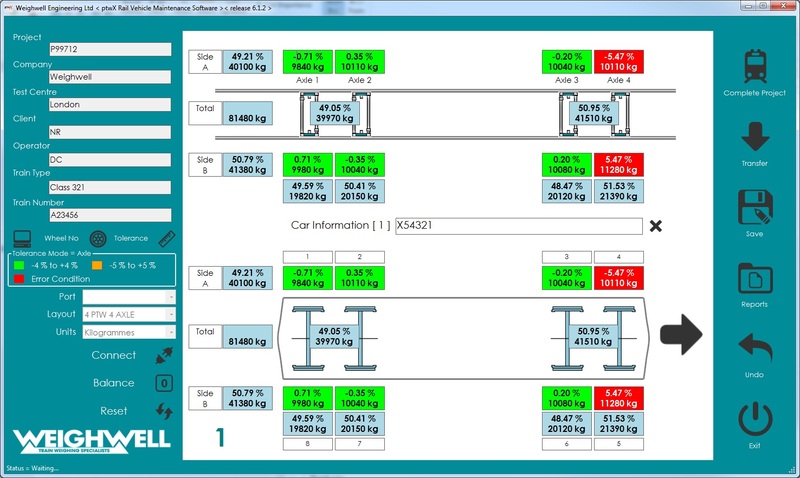 The ability to weigh 2×2 bogies (with 4 PTW units) and 2×3 bogies (with 6 PTW units) with our ptwX software and PTW indicator gives the user the weight data for individual wheels, axles and total vehicle weight. This is useful in establishing if weight distribution is balanced. 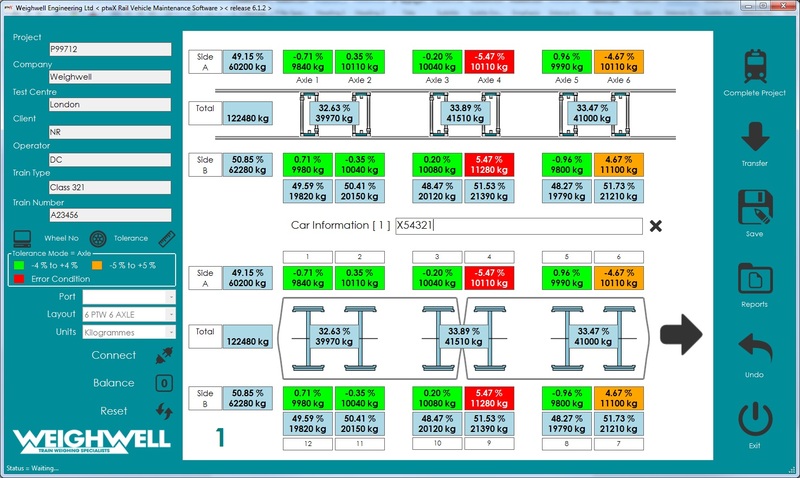 Our Full Car Weighing System provides an instantaneous solution to production problems with an achievable accuracy of +/- 0.1% dependent on operating conditions. This supports trains that have undergone major modifications and refurbishments or new trains that need to satisfy the Design Authority, Railway Group Standards (RGS) and meet the performance and operational requirements required to achieve ‘safety to run’ certification. No need to remove rail fastenings due to a system length of only 500mm allowing for unrivalled flexibility and a more convenient installation. Ideal for 2×2 (four axle weighing system) and 2×3 (six axle weighing system) axle bogies with a maximum weight capacity of 120t and 180t. A key interface with our industry leading ptwX software or in house developed PTW indicator. 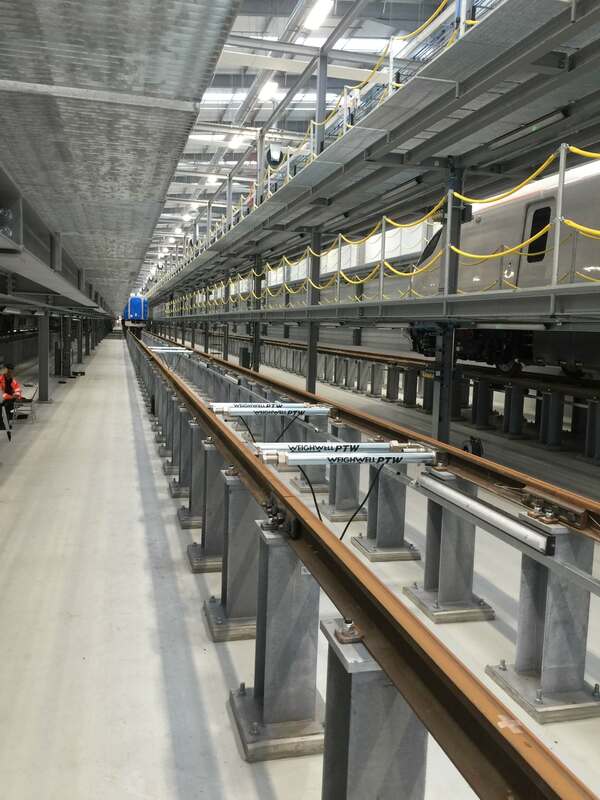 Helps in reducing train maintenance depot costs whilst increasing rail safety. Identifies possible safety and loading issues which impact upon achieving maximum efficiency, improving ride comfort and ensuring minimal component wear.